For us engineers, CO2 is bad, especially when found in good natural gas. As innovators, we are constantly eager to find solutions to our problems. In this case finding means of removing the bad from the good, while focusing on capturing the 'big picture' - developing lean, innovative, profitable, high-performing and efficient solutions. Enter the NXT-Air Liquide Membrane System. 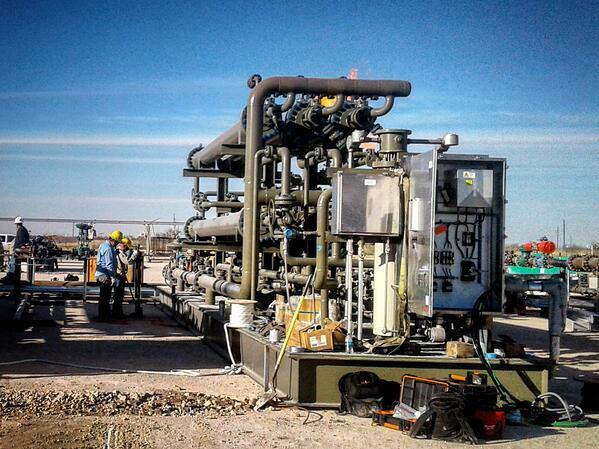 An extremely reliable, efficient membrane system offering excellent carbon dioxide removal from natural gas. CO2, aka carbon dioxide, is found in natural gas in many locations and must be removed to meet specifications before the gas can be delivered to pipelines. Carbon dioxide is the devil. Carbon dioxide, which falls into the category of acid gases is commonly found in natural gas streams at levels as high as 80%. In combination with water, carbon dioxide is highly corrosive and rapidly destroys pipelines and equipment unless it is partially removed or exotic and expensive construction materials are used. Carbon dioxide reduces the heating value of a natural gas stream and wastes pipeline capacity. 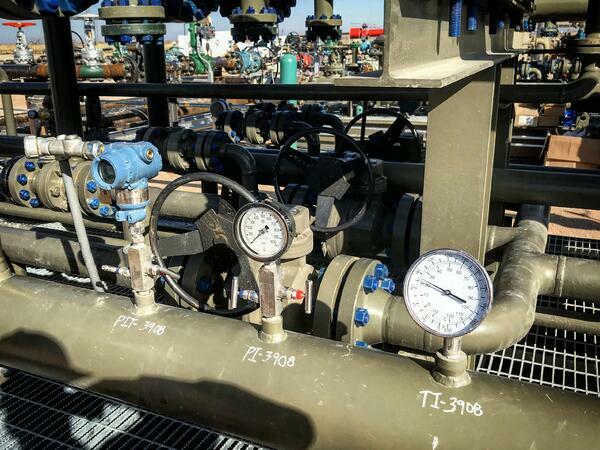 When removing carbon dioxide from natural gas, availability of a simple process technology that can be applied in remote, unattended, or offshore situations is highly desirable. Today, the market offers a wide variety of acid gas removal technologies. For example, amine systems (use of formulated solvents) are frequently used but are complex and have high capital, operating, and installation costs; a relatively high fuel cost and potential environmental issues. Each process has its own pros and cons, but membrane based systems are increasingly being selected for newer projects, especially for applications with large flows, high carbon dioxide contents, or located in remote locations. 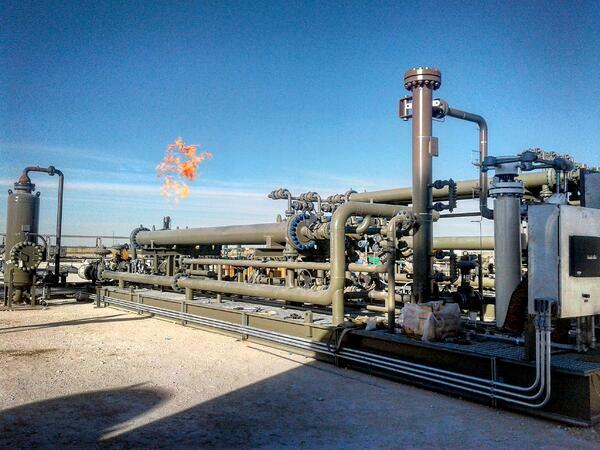 Membrane based systems provide a simple, low-cost, compact solution for reducing carbon dioxide content in natural gas. 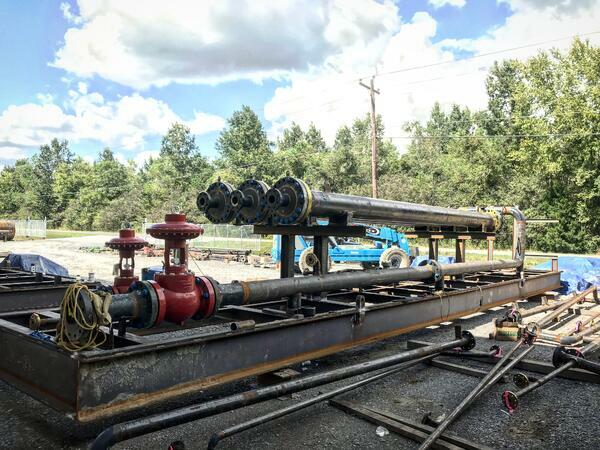 These systems have become a tried and accepted natural gas treating technology with distinct advantages in a variety of processing applications. Membranes are thin semipermeable barriers that selectively separate some compounds from others. 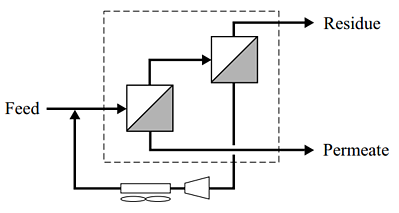 The simplest membrane processing scheme is a one-stage flow scheme. Feed gas is separated into a permeate stream rich in carbon dioxide and a hydrocarbon-rich residual stream. In high carbon dioxide removal applications, a significant amount of hydrocarbons permeate the membrane and are lost. Multistage systems attempt to recover a portion of these hydrocarbons. Why choose a two-step design? The two-step design allows only a portion of the first-stage permeate to be lost. The rest is recycled to the feed of the first stage. The hydrocarbon recovery of a two-stage system is significantly better than that for a single-stage system. However, when deciding whether to use a single or multistage approach, its important to consider the impact of the recycle compressor. This impact includes the additional hydrocarbons used as fuel, which increases the overall hydrocarbon losses, as well as the significant capital cost of compressors and the difficulty of maintaining them in remote locations. The NXT-Air Liquide Membrane System is the end product of collaborative efforts of a unique team of engineering innovators - one with the right mix of culture, technology, processes and inspiration . The NXT-Air Liquide Membrane System is a high performance, best in class membrane element offering excellent carbon dioxide removal efficiency in natural gas applications. High-performance you said? - Why yes! The membrane skid is designed to remove carbon dioxide to a maximum of 45% CO2 and reduce the CO2 content down below 2%. The skid is designed to treat flow rate up to 9.5 MMSCFD. The membrane package receives the feed gas and passes it through a guard bed and dust filter to remove any liquid contaminants. The dry gas is then heated by an electric heater to 120°F to be processed in the membrane system. 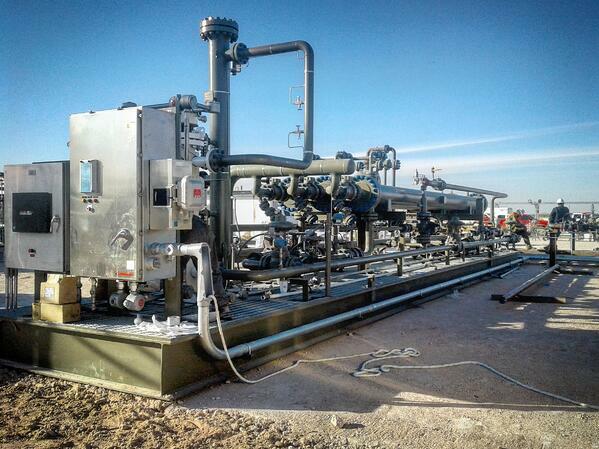 The system consists of a two-stage separation system designed to separate feed gas into a permeate and residue stream. During normal operations, the residue stream separated from the Stage 1 membranes is sent to the Stage 2 skid to further separate remaining permeate from the residue stream. The membranes separate the feed gas into two product streams - a carbon dioxide rich permeate stream @ 5-25 psig and a low carbon dioxide (<10% mole) fuel gas stream @ 720 psig. The control system automates the process of routing the feed stream through the membrane skids. The system incorporates the use of manual and automated valves, PLC and HMI touch screen control panel, pressure & temperature transmitters and heaters. Pressure and temperature transmitters throughout the system utilize the HART protocol to transmit process variable data to the PLC system. Communications accomplished via Modbus/TCP communications protocols. The membrane skid package is designed to survive harsh environmental conditions. The direct outcomes of the NXT-Air Liquide Membrane System include offering a simple, low-cost, compact solution for reducing carbon dioxide content in natural gas. Membrane systems are a solid and proven addition to the range of technologies for the removal of carbon dioxide. With correct pre-treatment design, they are extremely reliable, efficient, and ideally suited to installation in remote regions. Continuing enhancements in membrane systems makes membranes a more natural choice in the future, especially for applications requiring higher levels of carbon dioxide removal. While focusing on 'the bigger picture', the project's development gave place to build impactful relationships, while also maximizing value to all parties involved. A win in our book. Checkout NXT Gas Solution's website for more information on their unique natural gas membrane solutions. Checkout Nexus website for more information on automation solutions.